File - New - Project - Create New web application. Next step is to download a SignalR module using a node package manager. 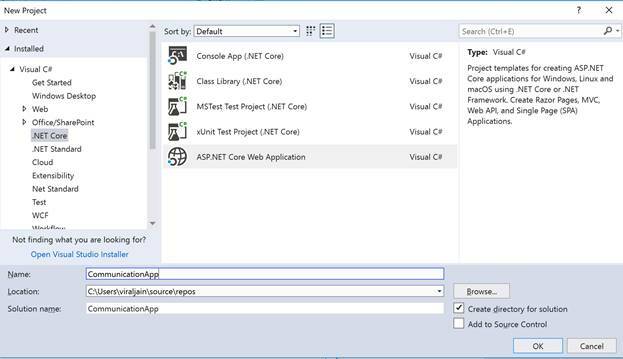 Copy signalr.js file from node installed location and copy in our project. Do not forget to include signalr.js file into your HTML Page script tag. 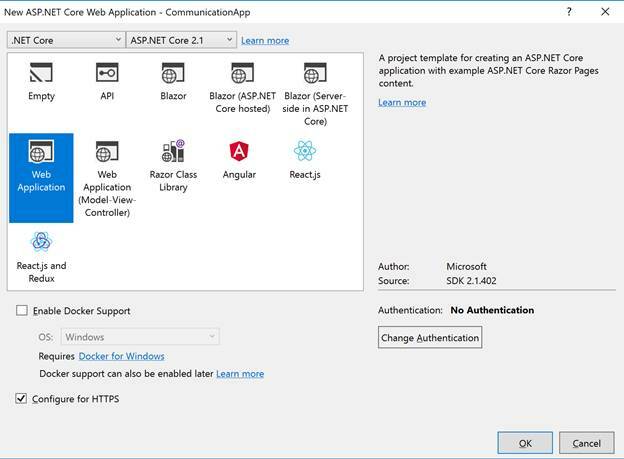 Now to create a SignalR hub, a signalR hub is a class that inherits from Microsoft.ASpNetCore.SignalR.Hub. 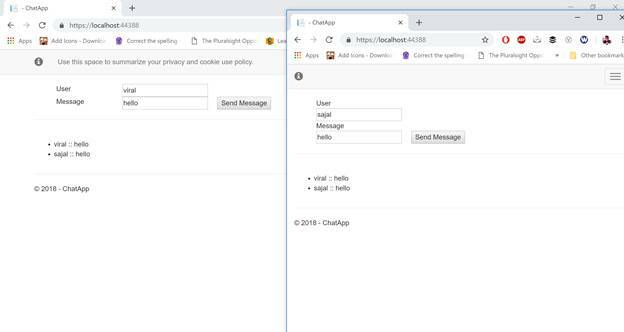 To send the message to all clients, I have created “SendMessage” method and within this method, I will call the “ReceiveMessage” method of the connected client. Next step is that we need to configure our project to handle the SignalR Request. So to configure SignalR in our project, we need to add signalR service to ConfigureService method of startup class. Also we need to configure the route to signalR hubs using UseSignalR method defined in configure method of startup class. This method(app.UseSignalR) adds SignalR to a middleware pipeline. Just create chat.js file under “wwwroot/js” folder. Now replace the following code content in page\index.cshtml file. Thanks and please share this article.